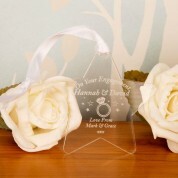 Say congratulations to the happy couple with a personalised star. 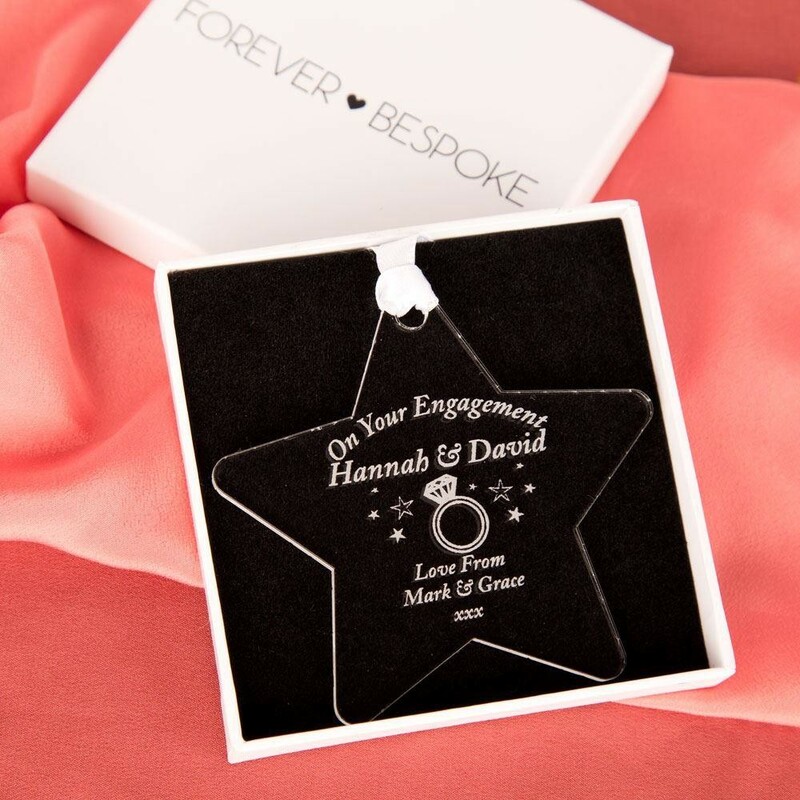 The engagement ring and star design is laser engraved in house on to the centre of the star along with the couples first names and a personal message. This light-hearted engagement gift is perfect for them to hang up in their home to remind them of their exciting future plans. This gift can be hung up using the loop of white ribbon on a window latch, cupboard handle or a pin board. It is well presented in a gift box so can be stored away when it is not in use. Dimensions: Approx 7.5cm x 7.5cm x 3mm thick.